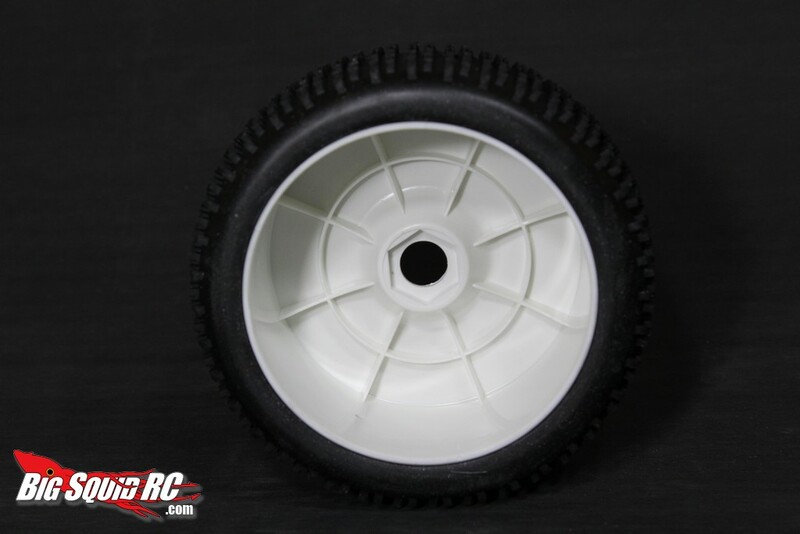 Review – Duratrax Equalizer Pre-Mounted 8th Scale Buggy Tires « Big Squid RC – RC Car and Truck News, Reviews, Videos, and More! 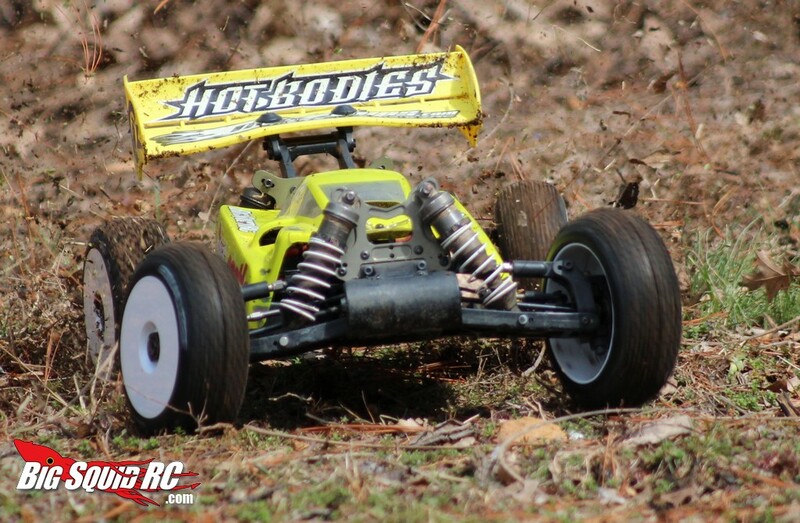 Fits- 8th scale buggies on both front and rear. What’s Needed To Complete Install: Not much. Remove your wheel nuts and pop’em right on. Build Quality: Glue job looked well done. Tires and rims both looked (and felt) of good quality. Test Venues: Leisure Hours indoor track in Joliet Illinois, St Louis Dirtburners, a backyard, and a cul-de-sac. 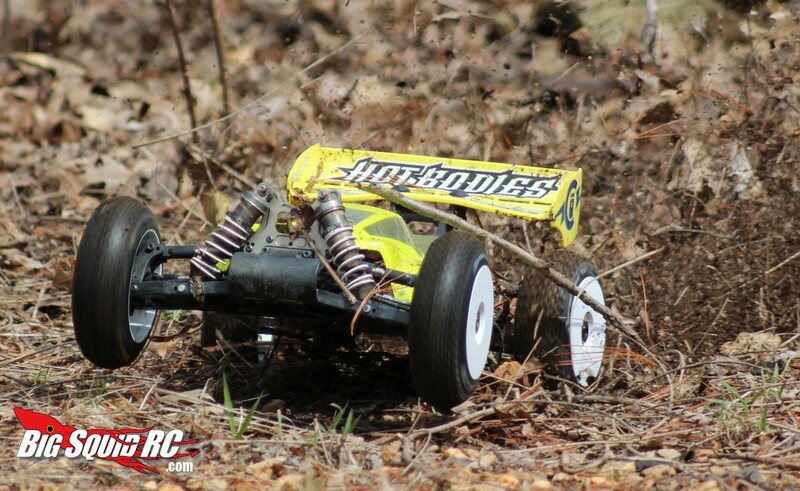 Set-up Notes: For testing we threw the Equalizers on a Hot Bodies VE8 buggy. 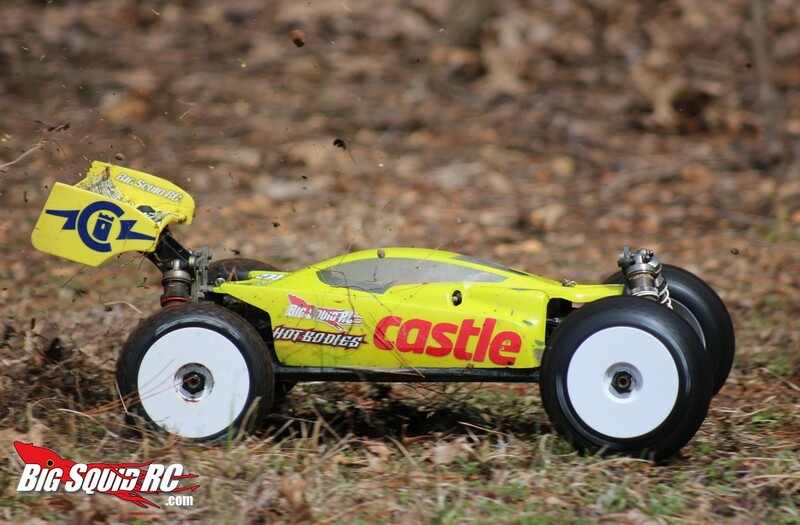 Speedo was a Castle Monster, motor was a Castle 2650, radio system was a Futaba 3PKS, Hitec handled the steering duties, and we used 4S worth of MaxAmps Lipo power to energize the beast. Street: While you might be tempted, resist the urge to run the Equalizers on pavement. They will give some outstanding grip on the street, but they will wear out extremely quickly due to their soft composition and tread design. 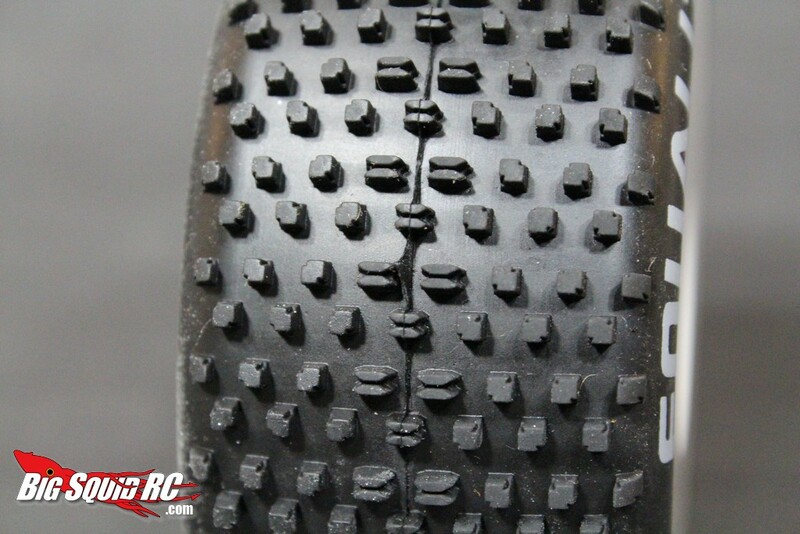 These tires were designed for dirt, use them there. 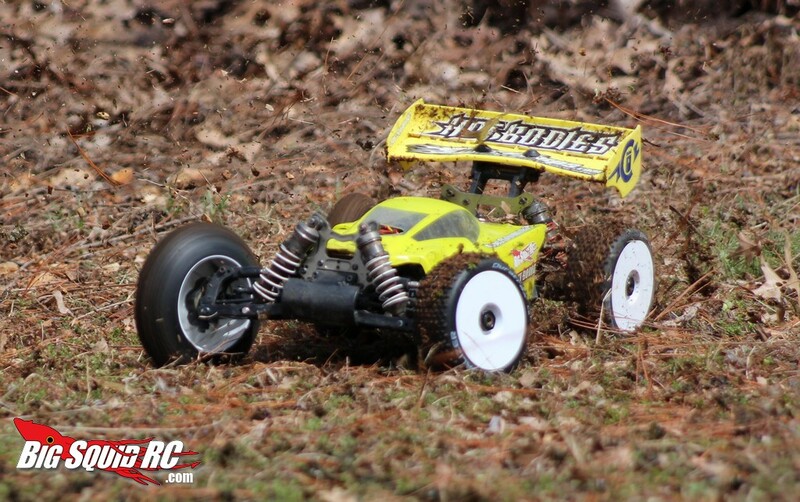 If you do a lot of street running invest in a set of Duratrax Bandito’s (their 8th scale buggy street treads). 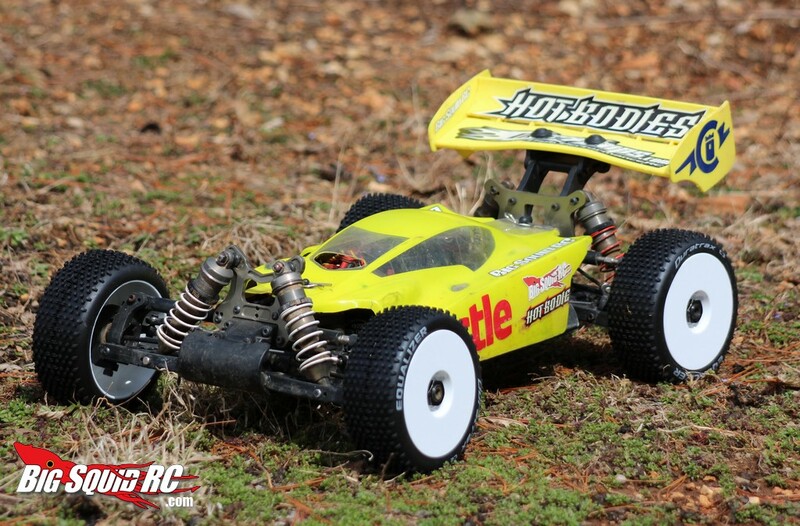 Grass: The Equalizers didn’t offer the traction of AKA Moto’s or Pro-Line Badland’s on grass, but they did quite well on the green stuff. 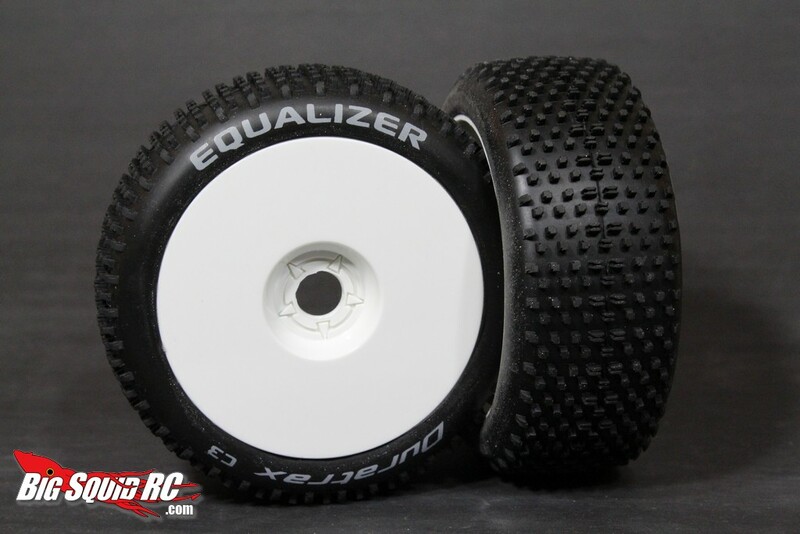 The Equalizers provided decent forward grip and a certain amount of slip when looking for sidebite that kept our buggy from constantly traction when cornering. Overall, very usable in grass. 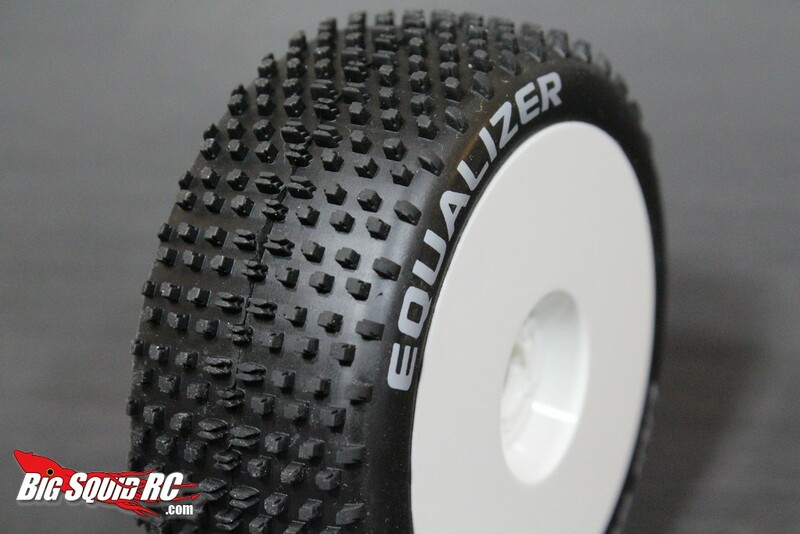 Dirt: The Equalizers are really intended for use on a prepped dirt surface. 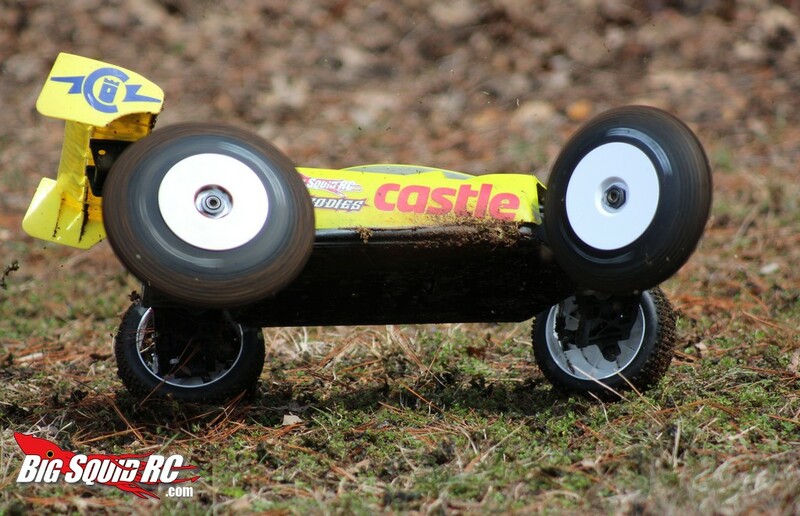 On a hard, damp, clay surface like the indoor track at Leisure Hours, they were quite drivable, but didn’t offer the pure mechanical grip of smaller pinned tires. A loamy outdoor track was where the Equalizers really stood out. When the pins could do a bit of penetration, like in the fluff or on a loose/loamy track, the Equalizers felt really dialed offering a lot of traction. Btw, if you’ve never felt a set of C3 compound Duratrax tires, they feel nearly as soft and sticky as the softest compounds from the big names. Time To Bash: A It literally takes 2 minutes to mount up the Equalizers. 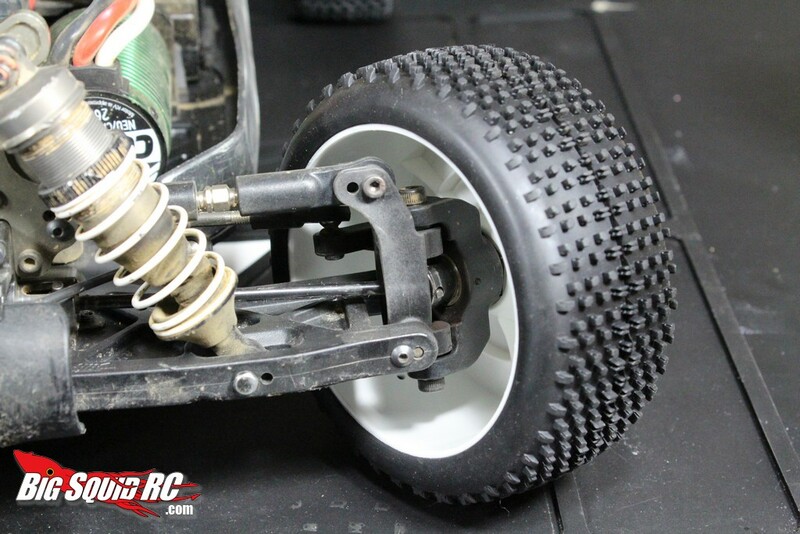 This is one of the fastest improvements you can make to your 8th scale buggy. Car Show Rating: C The Duratrax tires have lettering on the sidewall. Some of the staff really liked the look, while others prefer a more traditional look. The rims were standard white dishes. Bash-A-Bility: B We experienced no “major” issues with the Equalizer pre-mounts- we didn’t break any rims, nor did we rip/explode any of the tires. However, because they were molded in fairly soft compounds (extremely soft in the case of the C3’s) we experienced relatively fast wear rates. Had they have been molded in a harder/longer wearing compound they would have received an “A”. Performance: C There are better bashing tires on the market and better track tires. However, the Equalizers weren’t far off the pace in either category. Value: B The Duratrax pre-mounts cost much less than just the tires from a “premium” brand, yet they still give good performance. That represents a very good value to us. BigSquid Rating: B- Are the Duratrax Equalizer pre-mounts worth your cash? They are soft on the wallet yet give good traction on grass and in the dirt. We found them to be quality units and a very affordable option when driving on prepped dirt surfaces.